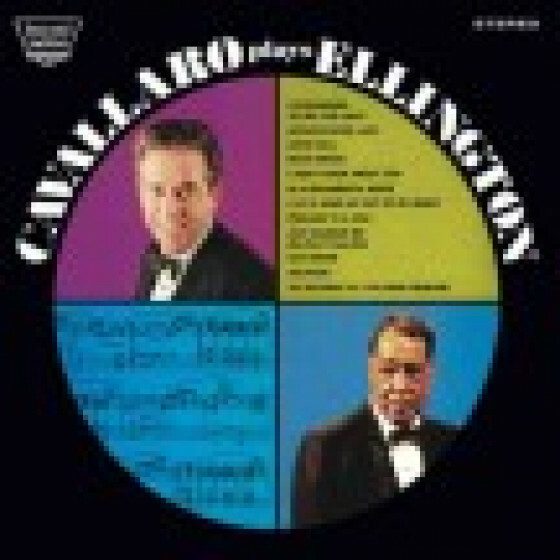 The master of light pianos 1965 Cavallaro Plays Ellington album - on CD for the first time ever, plus the complete album Cocktails With Cavallaro (1956) as a bonus. Backed by Al Caiola, guitar, Milt Hinton, bass & Osie Johnson, drums - on the Ellington album; and Jimmy Norton (g), Tom ONeill (b) and Jimmy McArdle (d) on the Cocktails session. Cavallaro was a well respected musician even outside the light and cocktail music genres - proven by the fact that none other than Ellingtons longtime friend and collaborator Stanley Dance wrote the original liner notes for the project. Splendid sound quality, new and careful 20-bit re-mastering. Includes excellent 16-page booklet. Carmen Cavallaro (1913-1989) became one of the most renowned stars of the so called light music genre, releasing some nineteen albums over the years, and attracting large audiences in concert halls and prestige venues like the New Yorks Waldorf-Astoria, Chicagos Palmer House and Los Angeles Coconut Grove. In 1963, his hit single Sukiyaki sold a million copies. Cavallaro also became famous through radio and film, but his most celebrated film achievement was performing the piano music mimed by actor Tyrone Power in The Eddy Duchin Story (1956).